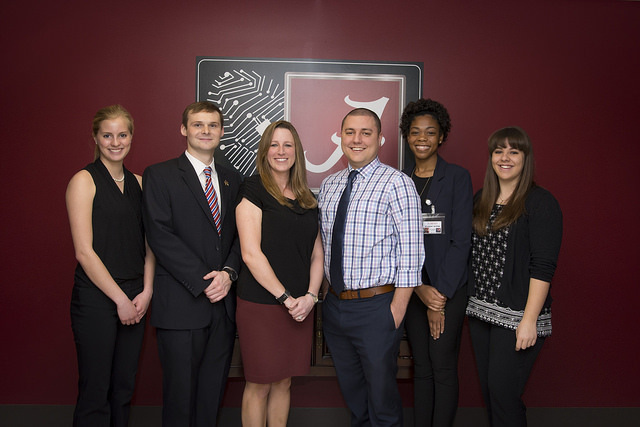 Internships at the JECTF provide an opportunity for UA graduate and undergraduate students to conduct career exploration and build a record of experience in the criminology and criminal justice fields. The internship is divided into two tracks: the digital forensic (DF) track and the network intrusion lab (NIL) track. Both internship tracks are held under the same course number (CC 395 for undergraduate students). The digital forensic (DF) track is particularly beneficial for students who want to explore a career as a digital forensic investigator and/or examiner. Working under the guidance of law enforcement officers, students will learn how digital forensic investigators identify, preserve, and extract digital evidence using different forensic tools and software. Students will also learn the various legal challenges digital forensic examiners face, including admissibility of evidence and right to privacy. This internship is a great opportunity for students to extend their knowledge about the inner workings of a law enforcement task force. The network intrusion lab (NIL) track is particularly beneficial for students interested in matters of cybersecurity, network intrusion, and malware forensics. NIL interns will work closely with cyber criminologists to conduct a number of assignments and studies related to log analysis, honeypot/net construction and implementation, and Tor criminality (among others). Any and all UA undergraduate majors and minors are welcome, and any and all UA graduate students (Masters and Ph.D.) are welcome to apply. If you meet these requirements, please see below for further instructions on application packet submission. The application period for Fall internships is March 15th of each year. The application period for Spring internships is October 15th of each year. The application period for Summer* internships is January 15th of each year. *Please note* scholarships may not cover credit hours in summer semesters; it is the responsibility of the student to check prior to submitting an application for a summer internship. Application packets MUST include 1) a cover letter stating which semester you are interested in, why you are interested in the internship position, your CWID #, and desired credit hours, 2) unofficial transcripts, and 3) your professional resume. These materials should be emailed to the Academic Director, Dr. Dolliver, at JECTF@ua.edu on or before the deadline for the appropriate semester above. Please note that internship positions each semester are extremely competitive, and selections are made following (1) an application packet review and (2) an in-person interview. Further, please also note that only 3 credit hours of the DF/NIL internship (CC 395) may count towards the Cyber Criminology minor. Credit hours for this internship do not count towards a degree in Criminal Justice.